Committed to the SDGs for the Global Day of Action! The 25th of September 2018 marks the 3rd anniversary of the adoption of the Sustainable Development Goals. Worldwide this day is marked as a Global Day of Action, under the #Act4SDGs Campaign. The aim of the 2030 Agenda is for nobody to be left behind, and universities together with all other actors should play a leading role in its achievement. To celebrate the 3rd anniversary of the Sustainable Development Goals (SDGs), we are excited to share with you some of the work we have done so far and future actions in the framework of the strategic line that GUNi adopted around the 2030 Agenda and the SDGs. International Conference on Sustainable Development Goals: Actors and Implementation from guni on Vimeo. The first edition of this series of Conferences took place on September 2017. 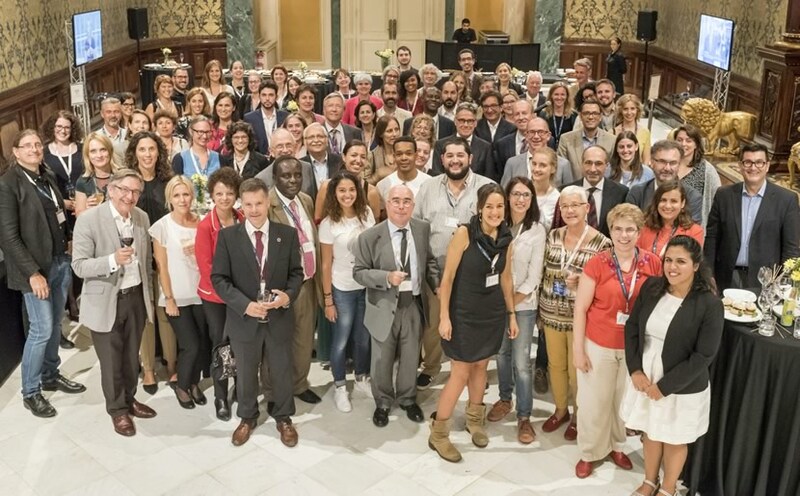 The International Conference on Sustainable Development Goals: Actors and Implementation gathered 220 attendees from 21 countries in Barcelona. The Conference put the Agenda 2030 at the centre of the work of universities towards sustainable development and social transformation. One of the outputs is a report with articles on the topics discussed at the Conference to share with those interested in the development of the 2030 Agenda and the SDGs implementation. 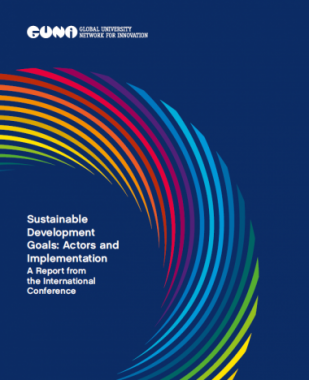 The Report "Sustainable Development Goals: Actors and Implementation, a Report from the International Conference" is available on open-content here. The Group is composed by representatives of some of the major networks working on sustainable development and higher education and is intended to be a space of debate, collaboration and sharing of expertise from different regions of the world, cultures and perspectives in order to advance the 2030 Agenda. 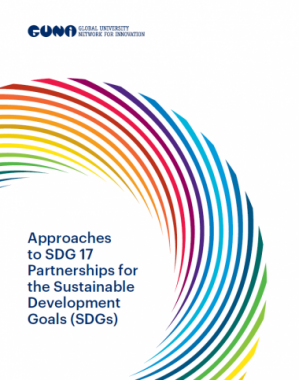 The Group of Experts has recently launched its first publication devoted to the SDG 17 “Partnerships for the Goals” with a focus on multi-stakeholder partnerships and capacity building. The GUNi Group of Experts on SDGs and Higher Education is meeting for the very first time on the 29th and 30th October 2018 in Barcelona. 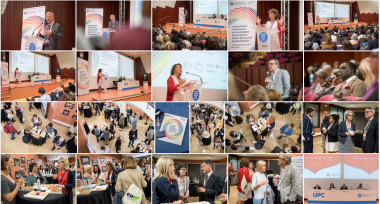 In the framework of this meeting, GUNi organizes the open-event 'Open discussion with the GUNi Group of Experts on SDGs and Higher Education', to be held on the 30th October 2018 in Barcelona. Registration is now open and free of charge. Applications will be accepted on a first-come first-serve basis through thits registration form. We are looking forward to meeting you there!